AJ lamp is the result of a command of the SAS Royal Hotel (today Radisson SAS Royal Hotel) in Copenhagen, in 1960. 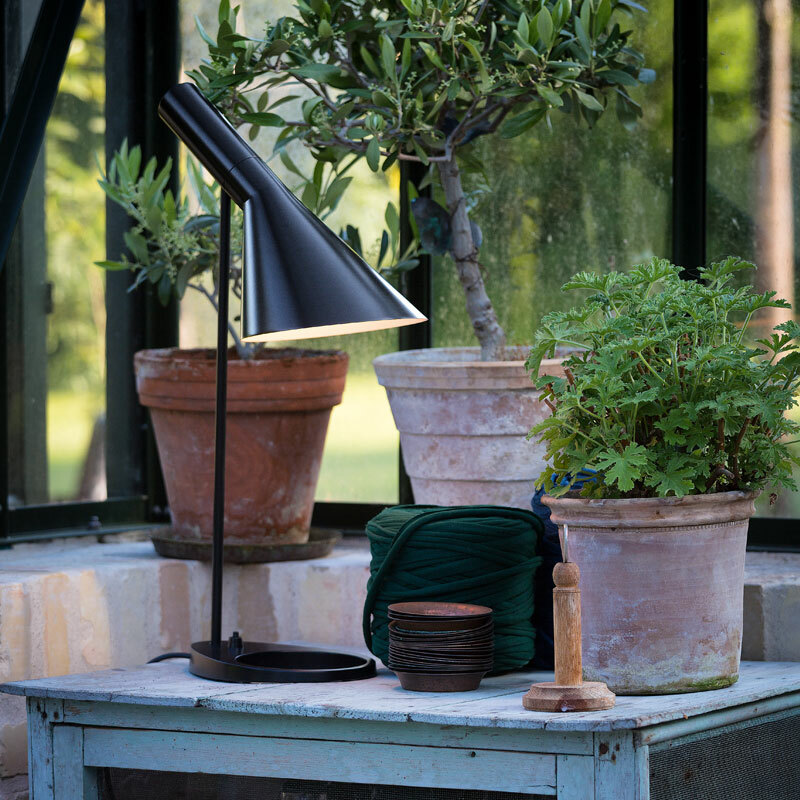 The AJ table lamp is on the same principles as the AJ floor, but due to the useability as a working desk lamp the shade has been expanded. The base of the table lamp was originally intended to accommodate an ashtray but now contributes solely to the design. Initially in black, white and grey, they are now available in several colours. Shade: 350mm. Height: 560mm. Energy class: A+E. Mounting Cable type: Plastic cord with plug. Cable length: 2.4m. Light control: Switch in lamp stand. Class Ingress protection IP20. Electric shock protection II. Specification notes The white version is supplied with a white cable. The other versions are supplied with a black cable.